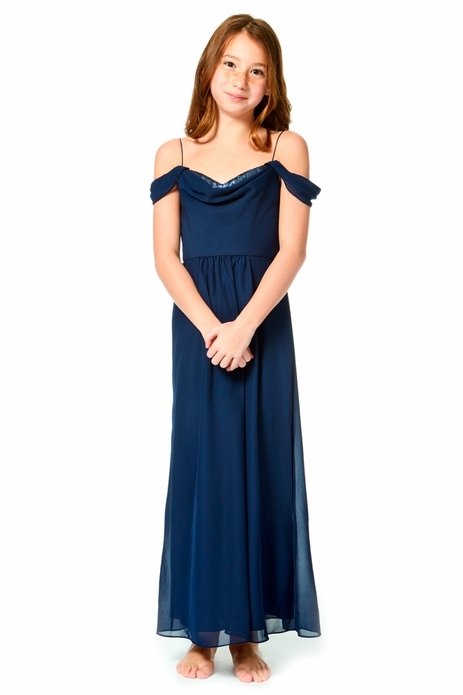 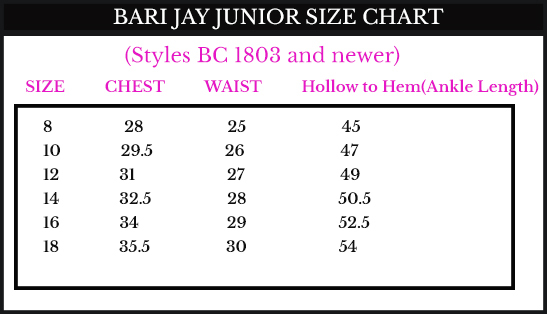 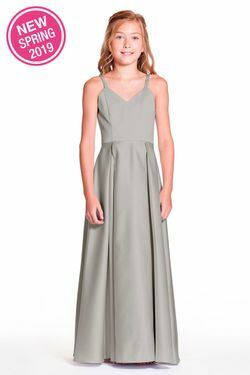 Bari Jay Junior Bridesmaid style 1877 JR - Cowl neckline with sequin trim and draped sleeves. 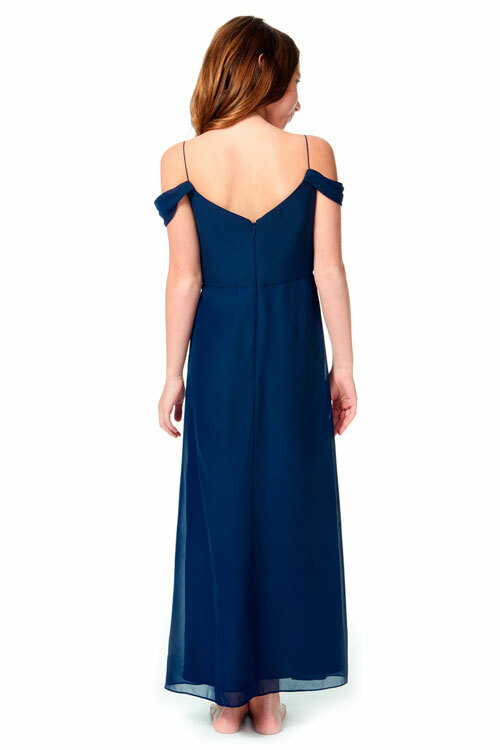 A-line skirt with pockets and center back zipper. 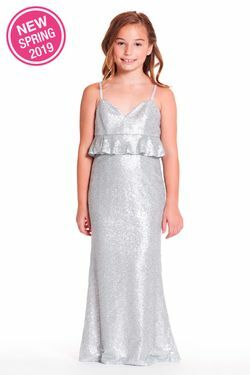 Available with Floral sequins .